i) There's nothing intrinsic to historical cases for the historical accuracy of Scripture that limits such an appeal to Catholics only; Protestants are free to make the same historical case as well. ii) Apropos, the move from historical accuracy to inspiration is exceptionally short. The difficult components of any external demonstration of inspiration are in establishing the historical accuracy of the New Testament documents. But once that is accomplished, it is a much simpler matter to move from the historical fact of the Resurrection, which establishes Jesus as God, to the ministry of the Holy Spirit, which gives inspiration to the Scriptures. If the Magisterium isn't needed to demonstrate the much harder case of historical accuracy, it's hardly required to demonstrate the much easier case of inspiration. iii) I don't even know how, in principle, you can divorce historical accuracy from inspiration. A good deal of the data contained in Scripture cannot be both accurate and uninspired, e.g. various prophecies, knowledge impossible to discern in any natural method (what someone or some group was thinking in their hearts at one time or another), what God was doing, thinking or intending, etc. And some data, even if they are knowable through natural methods, carry a certain theological significance that could not be accurately known (as truth) by the authors of Scripture without inspiration. This is also why there is generally a correlation between denying historical accuracy and denying inspiration. The two go hand-in-hand. iv) How can Salza establish the Scriptures as authentic and accurate documents if we need the Magisterium to interpret those very documents for us? If the Scriptures are unclear or difficult to understand, as Catholics often assert, this would apply whether or not they were inspired. v) If we can properly interpret all of the passages required to make a case for the historicity of Scripture (e.g. the Resurrection being supported by 1 Corinthians 15) before we establish the Magisterium as authoritative, why do we need the Magisterium to properly interpret all of Scripture once we learn that it is inspired? If we were competent enough to interpret the Scriptures before we discovered their historical accuracy, we should be competent enough to interpret them afterward. vi) His appeal to Matthew 16:18 and 1 Timothy 3:15 is dubious (see here for a short, but devastating critique of appealing to 1 Timothy 3:15; the comments section also contains links to discussions of Matthew 16:18).3 So even if the circularity is avoided by this argument, the Scriptures still do not establish an infallible, authoritative Catholic Magisterium. 1. William Whitaker, Disputations on Holy Scripture (Cambridge: Parker Society, 1894; reprint, Orlando: Soli Deo Gloria Publications, 2005), 334-335. 2. John Salza, "Relevant Answers Transcripts," Scripture Catholic. http://www.scripturecatholic.com/rradiotran.html (accessed July 19, 2010). b) The promise of Mt 16:18 has “exclusive” reference to Peter. k) This ceremony “transferred” his official prerogatives to a successor. l) The succession has remained “unbroken” up to the present day. (a) V18 may not even refer to Peter. “We can see that ‘Petros’ is not the “petra’ on which Jesus will build his church…In accord with 7:24, which Matthew quotes here, the ‘petra’ consists of Jesus’ teaching, i.e., the law of Christ. ‘This rock’ no longer poses the problem that ‘this’ is ill suits an address to Peter in which he is the rock. For that meaning the text would have read more naturally ‘on you.’ Instead, the demonstrative echoes 7:24; i.e., ‘this rock’ echoes ‘these my words.’ Only Matthew put the demonstrative with Jesus words, which the rock stood for in the following parable (7:24-27). His reusing it in 16:18 points away from Peter to those same words as the foundation of the church…Matthew’s Jesus will build only on the firm bedrock of his law (cf. 5:19-20; 28:19), not on the loose stone Peter. Also, we no longer need to explain away the association of the church’s foundation with Christ rather than Peter in Mt 21:42,” R. Gundry, Matthew (Eerdmans 1994), 334. (b) Is falsified by the power-sharing arrangement in Mt 18:17-18 & Jn 20:23. (c) The conception of a Petrine office is borrowed from Roman bureaucratic categories (officium) and read back into this verse. The original promise is indexed to the person of Peter. There is no textual assertion or implication whatsoever to the effect that the promise is separable from the person of Peter. (d) In 16:18, perpetuity is attributed to the Church, and not to a church office. (e) There is some evidence that Peter paid a visit to Rome (cf. 1 Pet 5:13). There is some evidence that Peter also paid a visit to Corinth (cf. 1 Cor 1:12; 9:5). (f) This commits a category mistake. An Apostle is not a bishop. Apostleship is a vocation, not an office, analogous to the prophetic calling. Or, if you prefer, it’s an extraordinary rather than ordinary office. (g) The original Church of Rome was probably organized by Messianic Jews like Priscilla and Aquilla (cf. Acts 18:2; Rom 16:3). It wasn’t founded by Peter. Rather, it consisted of a number of house-churches (e.g. Rom 16; Hebrews) of Jewish or Gentile membership—or mixed company. (h) NT polity was plural rather than monarchal. The Catholic claim is predicated on a strategic shift from a plurality of bishops (pastors/elders) presiding over a single (local) church—which was the NT model—to a single bishop presiding over a plurality of churches. And even after you go from (i) oligarchic to (ii) monarchal prelacy, you must then continue from monarchal prelacy to (iii) Roman primacy, from Roman primacy to (iv) papal primacy, and from papal primacy to (v) papal infallibility. So step (h) really breaks down into separate steps—none of which enjoys the slightest exegetical support. (j) Peter also presided over the Diocese of Pontus-Bithynia (1 Pet 1:1). And according to tradition, Antioch was also a Petrine See (Apostolic Constitutions 7:46.). i) These assumptions are devoid of exegetical support. There is no internal warrant for the proposition that Peter ordained any successors. ii) Even if he had, there is no exegetical evidence that the imposition of hands is identical with Holy Orders. iii) Even if we went along with that identification, Popes are elected to papal office, they are not ordained to papal office. There is no separate or special sacrament of papal orders as over against priestly orders. If Peter ordained a candidate, that would just make him a pastor (or priest, if you prefer), not a Pope. (l) This cannot be verified. What is more, events like the Great Schism falsify it in practice, if not in principle. These are not petty objections. In order to get from Peter to the modern papacy you have to establish every exegetical and historical link in the chain. To my knowledge, I haven’t said anything here that a contemporary Catholic scholar or theologian would necessarily deny. They would simply fallback on a Newmanesque principle of dogmatic development to justify their position. But other issues aside, this admits that there is no straight-line deduction from Mt 16:18 to the papacy. What we have is, at best, a chain of possible inferences. It only takes one broken link anywhere up or down the line to destroy the argument. Moreover, only the very first link has any apparent hook in Mt 16:18. Except for (v), all the rest depend on tradition and dogma. Their traditional support is thin and equivocal while the dogmatic appeal is self-serving. The prerogatives ascribed to Peter in 16:19 (”binding and loosing” are likewise conferred on the Apostles generally in 18:18. The image of the “keys” (v19a) is used for Peter only, but this is a figure of speech—while the power signified by the keys was already unpacked by the “binding and loosing” language, so that no distinctively Petrine prerogative remains in the original promise. In other words, the “keys” do not refer to a separate prerogative that is distinctive to Peter. That confuses the metaphor with its literal referent. “This office is not made hereditary. God promises the key to Eliakim but not to his descendants. The office continues, but soon loses its exalted character. It was Eliakim the son of Hilkiah who was exalted, and not the office itself. Eliakim had all the power of a “Rabshakeh,” [the chief of drinking], and in him the Assyrian might recognize a man who could act for the theocracy…Whether Eliakim actually was guilty of nepotism or not, we are expressly told that at the time (”in that day” when they hang all the glory of his father’s house upon him he will be removed. Apparently the usefulness of the office itself will have been exhausted…The usefulness of Eliakim’s exalted position was at an end: were it to continue as it was under Eliakim it would not be for the welfare of the kingdom; its end therefore must come,” the Book of Isaiah (Eerdmans 1982), 116-18. More generally, every argument for Petrine primacy is an argument against papal primacy since the more that Catholicism plays up the unique authority of Peter, as over against the Apostolic college, the less his prerogatives are transferable to a line of successors. There’s a basic tension between the exclusivity of his office vis-à-vis the Apostolate and the inclusivity of his office vis-à-vis the Episcopate. I think most Catholics would at least stipulate that there's a circular element to their reasoning on this issue. No most would not. No circle since the Church precedes the New Testament Canon. We do not need the Scriptures to prove that. If the Church precedes the canon, and you are trying to avoid the circle, then appeals to the scriptures ala Matthew 16 are fallacious. Oh, so it is "sola ecclesia". Thanks for the honesty, St. Middle Man. "We do not need the Scriptures to prove that." I recall Luther making a careful distinction between God and the Word of God ( here the Word is restricted to the scriptures). The Lord Jesus made use of the OldT. as a Divine testimony with all the authority it contained. Would you say that Christ gave the scriptures authority based on the authority derived from his Father ? Or was his authority additive and confirming regarding the scriptures ? Does Christ avoid a vicious circle himself ? Fortescue goes on, "It is the same situation as with Matthew 16:18. It is impossible, in our limited space, to go into the controversy that rages around many texts we quote. There is a whole literature about the famous passage in St. Irenaeus alone. the case is always the same. We quote words, of which the plain meaning seems to be that their writer believed what we believe, in some point. The opponent then tries to strip his words of this meaning; Catholic writers then have to refute his attempt. All this has been done scores of times in each case. Sometimes Protestants fall back on the idea that, when some early authority addresses the Pope in words that state or imply his primacy, all this is only polite compliment. You can, of course, discount the value of many statements by saying that they are only compliment. Maybe someday we shall be told that what all the Fathers oft he First Vatican Council defined was only excessive politeness to Pius IX. The answer is that, in all cases, we must suppose that a sane man, who uses definite expressions, means what he says, unless the contrary can be proved. To polish off a statement with which you do not agree by saying that it is not meant, and leave the matter at that, is a silly proceeding (53-54). What's funny about this is that Roman theologians are hard at work denying the very things that Vatican I stressed so clearly. He goes on to say, "Anyone relying exclusively on this definition for the interpretation of Vatican I can very easily come to the conclusion that the council made a dogma of the absolute sovereignty and monarchy of the pope. However, an examination of the conciliar debates has shown that this was not the council's intention" (70-71). He then goes on and spends the next five pages clarifying why Vatican I really didn't mean what it said, as stridently as it said it. Talk about a blueprint for anarchy. "If the Church precedes the canon, and you are trying to avoid the circle, then appeals to the scriptures ala Matthew 16 are fallacious." No it is not since Matthew 16:18 was taught well before it was ever written down. Holy Writ is only a written testimony of some of what the Church taught and witnessed, it is not the entire foundation of the Church. That was founded upon Christ and His apostles and their oral preaching. No circle for me or the Church, only in your imagination. John, no one cares what Pottmeyer thinks. He is known to dissent against the Pope openly. Not a wise foundation for you to park your fallacious argument upon. Vatican I was pretty clear and I might add, authoritative as to what it taught on the papacy. Again, your arguments fail to convince. Matthew Bellisario -- on what basis do you say that nobody cares what Pottmeyer thinks? I suspect you don't care what he thinks because you don't like what he thinks. But he has had more influence with "the Magisterium du jour" with the characters he's typed with his little finger, than you will ever have. How are his "questions" any different from what the mainstream of Catholic theologians are asking? I chose him precisely because he is a leading theologian who is trying to reconcile Vatican I and Vatican II. Why do you suppose he thinks they need to be reconciled? His efforts are not unique. But the Old Testament precedes the church. By Bellisario's standards, his argument loses. ...except in Antioch, hence the feast of the See of Peter in Antioch, celebrated on February 22nd (or about). 1. You know what Matthew 16:18 teaches only because it is recorded in Scripture. That it was originally preached in oral form does nothing to avoid your dependence on the written Word in demonstrating the authority of the Magisterium. For unless you can document the oral preaching of Matthew 16:18 from a source other than the written New Testament documents, you are left only with an appeal to Scripture. 2. If it is oral preaching you depend on to prove the authority of the Magisterium, then you've only changed the nature of the vicious circle. For we need the Magisterium to identify and interpret the content of Apostolic oral preaching, yet you prove the authority of the Magisterium from the interpretation and content of Apostolic oral preaching. "John, no one cares what Pottmeyer thinks. He is known to dissent against the Pope openly." That's a particularly idiotic and self-defeating statement. Pottmeyer is one of the leading Catholic theologians in Europe. He's the author of at least a dozen books. People have actually paid to read what he writes - oh and he's a professor, so people pay to learn from him. But Bellisario's magisterium of one has condemned him because he doesn't like what Pottmeyer teaches. But somehow one can know THAT without an infallible Magisterial pronouncement. On the topic of what kinds of "oral traditions" underlie the Scriptures: I was always taught that even though the Greek in Matt 16:18 said "Petros/petra," (indicating that Peter was not "the rock,") the underlying Aramaic would have been "kepha/kepha," for which reason many modern commentators have decided to say that even though there are two Greek words used, Petros and petra, they really refer to the same thing ("kepha/kepha"). I've been looking into a 1990 study by C.C. Caragounis, "Peter and the Rock," in which he traces the various usage of those words in various ancient languages (Hebrew, Aramaic, Syriac, Greek, etc.). It's an expensive book, and a very thorough word study. Many commentators poo-poo it. Ratzinger poo-poos it in "Called to Communion," without any real comment on why. (Why he does so is obvious). But some commentators do not. One of the bottom lines that Caragounis reaches is that the oral tradition *may not* have used "kepha/kepha," but rather "kepha/something else." If the latter is the case here, then it de facto excludes the possibility that Peter could have been "the Rock." Not all of the discussion is available at Google Books, but some of it does. Dr. David Garlington, "Reading Matthew," cited Caragounis's conclusions, as did Dr. Douglas Kelly of RTS, in a lecture on the topic of "what is the Church". What makes Caragounis's work so fascinating is that it takes into account all of the ancient languages. We'll just have to wait for other NT scholars who understand Aramaic, Syriac, etc., to look into it and see how this one plays out. John B writes, "Cardinal Walter Kasper cared enough to include his chapter on Vatican I in his dialogue on "Catholics and Orthdodox in Dialogue"
Again, that just proves my point. Kaspar devoted his life to the church and made Cardinal. What have you done? I should ask, too, what authority do you have? Why should anyone at all (except your mother) care what you think? Turretin Fan writes, "That's a particularly idiotic and self-defeating statement. "Pottmeyer is one of the leading Catholic theologians in Europe." "Leading" is a matter of opinion. "He's the author of at least a dozen books." So what? So has Shirley MacLain, and Peter Ruckman, who cares? The number of books one has written has nothing to do with proving anything here. "People have actually paid to read what he writes - oh and he's a professor, so people pay to learn from him." So what. People pay to read and learn form Peter Ruckman too. So that proves what? It proves again that you cannot compose a rational argument. Nothing new I am afraid. "But Bellisario's magisterium of one has condemned him because he doesn't like what Pottmeyer teaches." Once again TF, you prove that you know nothing of what constitutes the "Magisterium", otherwise you would not make these rash statements. John writes, "I should ask, too, what authority do you have? Why should anyone at all (except your mother) care what you think?" Now your catching on John! Nobody cares what you think about the Catholic Church or what delusional conspiracy theories you have constructed on the subject. The only thing that this blog is good for is making solid Catholic converts who stop by and see how bad your arguments are. Thanks for helping to promote the Catholic faith. Keep up the good work. People cared what Pottmeyer and Kasper and Raymond Brown wrote. It's heartening to me that individuals in such positions of authority came to conclusions that Protestants often espoused. There's a difference between honest sources (even honest Catholic sources) and those like you who are critical of everything, who add nothing of substance, and who are even dishonest with facts. James has made this blog what it is by correcting dishonest treatments of Luther and others by Catholic historians, theologians, and blowhards. I think things will go just fine here. There's a lot of source material. That's enough empty rhetoric for one thread. If you're prepared to return to addressing either the circularity arguments or the historical information and sources John Bugay has presented, you may stay. Otherwise, it's time for you to expel your vapid bombast onto other lucky denizens of the blogosphere. Hays' analysis is quite convincing. The typical counter argument assumes the RCC as the point of reference (the Church (denomination) that Christ established) and can be judged as fallacious as a result. The argument assumes the very point in question. The argument is flawed internally by the rules of logic. MB writes: "'Leading' is a matter of opinion." Obviously it's a matter of opinion. There are plenty of people who have that particular opinion. However, one could provide an quasi-objective standard of what constitutes "leading" scholarship in Romanism. That would be things like the prominence of a particular scholar in his scholarly community. Using that standing, Pottmeyer is a leader. Or we could use the "magesterium of one" standard, where some guy off in his own corner creates his own forbidden books index. MB writes (regarding the number of books Pottmeyer has written): "So what? So has Shirley MacLain, and Peter Ruckman, who cares? The number of books one has written has nothing to do with proving anything here." It proves people care what he thinks, contrary to your idiotic claim "no one cares what Pottmeyer thinks." It doesn't prove he's right, or even that he's sane! It proves only that people care what he thinks, which directly refutes your claim. And again, MB writes (regarding the fact that people actually pay good money to know what Pottmeyer thinks): "So what. People pay to read and learn form Peter Ruckman too. So that proves what? It proves again that you cannot compose a rational argument. Nothing new I am afraid." Apparently, MB has lost track of his own brain-dead claim that "no one cares what Pottmeyer thinks." As noted above, this evidence does not prove that Pottmeyer is any more of a good, faithful, devout, zealous Roman Catholic than I am, but it does show that people care what Pottmeyer thinks, thereby directly refuting Bellisario's claim. MB writes (in response to my comment about him being a magisterium of one): "Once again TF, you prove that you know nothing of what constitutes the "Magisterium", otherwise you would not make these rash statements." Oh no! The magisterium of one has claimed that I myself have proved that I don't know what constitutes the "Magisterium" and the magisterium of one has claimed that I would never dare criticize the editor of the Catholic Champion blog with these "rash statements" if I did! The magisterium of one has spoken, the case is settled. Tf says, "The magisterium of one has spoken, the case is settled." I am glad you agree. No need to continue on with your empty rhetoric then is there? MB: The matter is settled only throughout the entire jurisdiction over which your magisterium has authority - your own mind. We'll have to wait and see if facts or reason will be able to penetrate its defenses. Are you still sticking to the absolutely ridiculous idea that no one cares what Pottmeyer thinks? When it comes to discussing issues of ultimate authority, it's frequently the case that there will be circular arguments presented. I did not say that it was a vicious circle. I only said that it was a circle. It's okay for you and Catholics (and Protestants and Orthodox) to at least stipulate to the charge that there's circular element to the logic or argument about ultimate authority. The question is not whether its circular, but whether the circle is "vicious" or not. Again, I see no circle. The NT Scriptures came after the Church. Referring to the Scriptures is not circular reasoning. We believe what Christ taught based on His authority as God, and the authority He gave to those who would preach His Gospel. It is certain that the Protestant would have rejected St. Paul to his face. The Catholic would accept him and the Gospel he preached based on his authority as an apostle of Christ based on his apostolic connection to the rest of the apostles. No circular argument for the Catholic. Again, I see no circle. The NT Scriptures came after the Church. You err quite badly here (and in a circular fashion) merely by positing the form of "Church" that you do. In fact, Christ came "in the fullness of time," in the context of, and according to the Scriptures. The church, from the beginning, placed itself in the context of those Scriptures (See Acts 2). It was a grafting, not a new planting (see Romans 10:12 and Romals 11). "There is no distinction between Jew and Greek." What applied to Israel now applied to the church. And Paul's warning also applied: "remember it is not you who support the root, but the root that supports you." This is what Paul said to the Roman church. "So do not become proud, but fear. For if God did not spare the natural branches, neither will he spare you." (Romans 11:20-21) You, Rome, will not be spared if you become proud. First Bellisario writes: "John, no one cares what Pottmeyer thinks. He is known to dissent against the Pope openly." Now, Bellisario claims that a "Catholic would accept" the Apostle Paul, although Paul "withstood [Peter] to the face, because he was to be blamed" and then bragged about it in his circular letter to the Galatian churches! I think if Bellisario had been around in Paul's time it would have been Bellisario, not the Protestants, who would have rejected Paul. Of course, that would assume that the transported-back-through-time Bellisario would think that Peter was the pope at that time, which would be even more laughable than it is today, since no one else around Bellisario would even know about the concept of a "pope." What is laughable is that you would have rejected Saint Paul to his face. 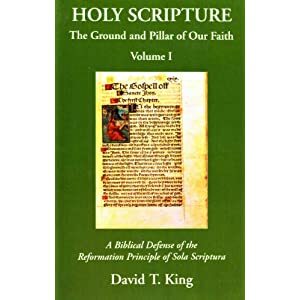 The fact is there is no such thing as Sola Scriptura, and the early Christians would have had no idea of such a thing. They would have believed Saint Paul based on the authority given him by the apostles, not by any authoritative Scripture passage. If anyone is guilty of circular reasoning it is the Prot. This has to be the most ridiculous thing you have ever said. Matthew Bellisario: "It is certain that the Protestant would have rejected St. Paul to his face." "What is laughable is that you would have rejected Saint Paul to his face." I don't know why you say such things. "They would have believed Saint Paul based on the authority given him by the apostles, not by any authoritative Scripture passage." Except for those deluded Bereans who obstinately refused to accept Paul on apostolic authority. "Except for those deluded Bereans who obstinately refused to accept Paul on apostolic authority." If you read that passage, the Bereans actually accept St. Paul's interpretation of that passage based on his authority. They did not know how to interpret the Old Testament passage correctly. Saint Paul did. Again, there was no Sola Scriptura during that period and has never existed in Christianity. This Catholic priest says same on all of you for your contentious religious debating. Rome claims that it alone may interpret Scripture. That is, only the Roman Catholic Magisterium may interpret the Bible. But when you ask a Roman Catholic why he believes Rome is the true Church he will say, “Because according to Matthew 16:18 the Church is built upon Peter and Rome has the succession of the chair of Peter. Thus Matthew 16:18 proves Rome is the true church.” Of course this is not the individual Roman Catholic’s interpretation of the text, but rather it is the interpretation and application of the Roman Catholic Church for only it may interpret the Bible. Thus only Rome can interpret the Bible, Rome says Matthew 16:18 teaches that Rome is the true Church; therefore Rome is the true Church. The entire system is circular as it begins and ends with Rome for it is the ultimate authority on earth. Scripture, Tradition, and everything else only means what the Rome says it means." Incorrect. The authority begins with Christ and continues through His apostles. No circular argument. Yet you only know what Christ and His apostles taught because the Magisterium provides and interprets the Scripture and Tradition in which the words of Christ and the Apostles are found. (1) Rome claims that it alone may interpret Scripture. True or False? The Catholic will refer to Matthew 16:18. True or False? (3) Thus since only Rome can interpret the Bible, and since Rome says Matthew 16:18 teaches that Rome is the true Church; therefore Rome is the true Church. Did you know that people with the same first names get to be roommates in Heaven? I.e., Matthew Bellisario and Matthew Schultz will be roommates in Heaven. "Yet you only know what Christ and His apostles taught because the Magisterium provides and interprets the Scripture and Tradition in which the words of Christ and the Apostles are found." No I know because Christ sent His apostles to preach the Gospel by His authority. The same reasonable belief that allowed people to hear Saint Paul preach the Gospel and believe it before the New Testament was written, is the same now as then. We believe not because the Gospel was written down, but because it is proclaimed by the legitimate authority of Christ through His apostles. Holy Writ is the Word of God testifying to this fact, and was never separated from the authority of Christ that came before it. Again it is the Protester who argues in circles claiming "Scripture alone" which the apostles themselves never believed. Again, your arguments fail. Since my time in purgatory will be longer than Bellisario's, I can only hope he'll be the gentleman and save me the bed with a view. No I know because Christ sent His apostles to preach the Gospel by His authority. Matthew Bellisario: "No I know because Christ sent His apostles to preach the Gospel by His authority." Rhology: "And how do you know that?" Besides answering this question, how about answering my question above at 6:15 on July 21, 2010? You may not know this, but Bellisario isn't into answering questions put to him. It's below him. No I know because Christ sent His apostles to preach the Gospel by His authority. The same reasonable belief that allowed people to hear Saint Paul preach the Gospel and believe it before the New Testament was written, is the same now as then. In what sense is it the same? People who heard Paul preach lived in a completely different context than we do today. They either had experienced miracles, through observing them or watching them occur, or they had a wide variety of contemporary eye-witnesses to consult, both friendly and hostile, who could testify to his power. We can't listen to the Apostles preach to us. We can't see their miracles with our own eyes, or speak to the eye-witnesses of those miracles. We can't reason with them as they stay in our houses on missionary journeys. We can't ask them to explain how Christ has brought fulfillment to Old Testament prophecy. So in what sense is this the same as hearing Paul or the other Apostles preaching the Gospel and us believing it? We believe not because the Gospel was written down, but because it is proclaimed by the legitimate authority of Christ through His apostles. And how do you know that this authority is legitimate? To what do you appeal to make your case? If it is Scripture, then the charge of vicious circularity stands. But, if it is oral tradition (or some such thing), as I've noted above, the same charge would still stand. Again it is the Protester who argues in circles claiming "Scripture alone" which the apostles themselves never believed. Again, your arguments fail. 1. I don't think the Apostles practiced Sola Scriptura in the same sense that we do today. We're in a completely different situation than they were. Apostles were still bound to Scripture as the ultimate authority (Galatians 1:6-9), but since new revelation was being given, and this sometimes orally, and keeping in mind the unique authority the Apostles had in the Apostolic church, the form was not the same. What's not obvious is why this is a refutation of Sola Scriptura on its own grounds. Of course, Catholics are in a similar situation. At the very least, you would admit that new revelation is no longer being given. So to object that we are not exercising the same rule of faith as the Apostles is an excellent way to undercut your own position. 2. You haven't show how Sola Scriptura is circular. At best, your objection is that it is novel, that it was not practiced by the Apostles. But being novel has little, if anything, to do with being circular. 3. You haven't really interacted with hardly any of my arguments, so I'm not sure what you're saying with respect to them failing "again." This is an old thread but one of the (many) best ones i think. In summation, RC can never say that he believes in the RC "church" because of Scripture, as that would make him a Protestant as regards the supreme authority on earth, and by methodology. Instead, as he cannot be sure what Scripture teaches, he must say he believes because the infallible RCC says this is what Scripture means (although in actuality, Rome rarely infallible interprets texts of Scripture, and it is understand that only the decree itself is protected by the charism of infallibility, although by implication this does define some texts, at least by precluding they cannot mean something contrary Rome).